Beautiful ring that twines elegantly around your finger twice. Beautiful ring that twines elegantly around your finger twice. 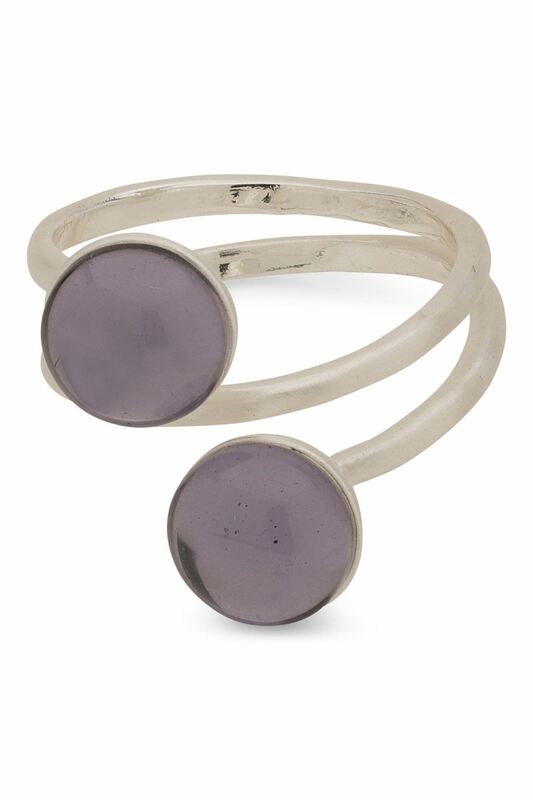 With the satin metal, the two shiny purple stones in a subtle, transparent colour create an aesthetic and stirring design. A sophisticated ring which references ancient snake rings and radiates culture and a sense of beautiful, personal details.